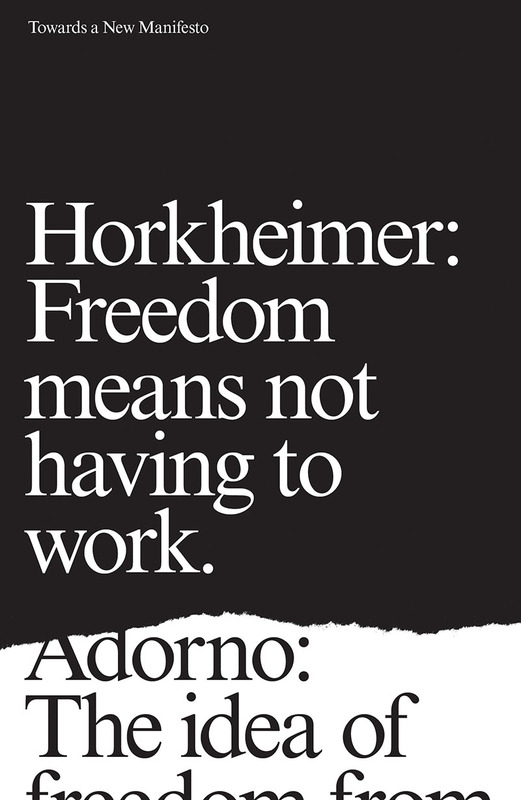 In a recent contribution to the Notre Dame Philosophical Review, Martin Jay reflected on Towards a New Manifesto, the lengthy exchange between Theodor Adorno and Max Horkheimer, which Verso published last fall. The dialogue, which went on for several days in the mid 1950s and was initially transcribed by Adorno's wife Gretel, today stands as a fascinating document that touches on a wide range of issues central to Adorno and Horkheimer and to the broader trajectory of critical theory. As Jay notes in his review, the publication of this exchange offers rare insight into the thought processes of these two leading members of the Frankfurt School, veering from the highly abstract to the urgently concrete, and registering the live intellectual development of some of the ideas whose later evolution ended up being so decisive for the course of critical social, political and philosophical thought in the second half of the 20th century. Interestingly, Jay is measured in his account and in his review, expressing his ambivalence over the publication of the rather rough and preliminary state of Adorno and Horkheimer's ideas in the dialogue, correctly noting that they offer neither the "finely wrought aphorisms" nor the sustained theoretical elaboration of their formal work. Nevertheless, as he notes, they offer invaluable glimpses into the epiphanies that were to be later picked up, the ideas which were later abandoned, as well as the tensions, digressions and flashing moments of "uncensored daring" that emerged in the spontaneous heat of their highly charged brainstorming sessions. Visit the Notre Dame Philosophical Review online to read Jay's review in full, and for an elaborated historical context of Adorno and Horkheimer's discussion, as well as for additional critiques and longer reflections on the status of argumentation and the struggles the two experienced in trying to reconcile theory and praxis and deal with the legacy of Marxism in the 20th century.